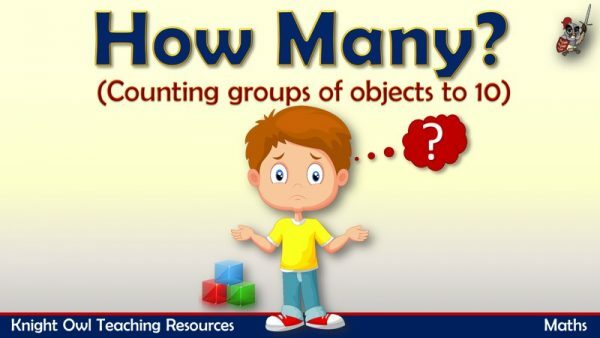 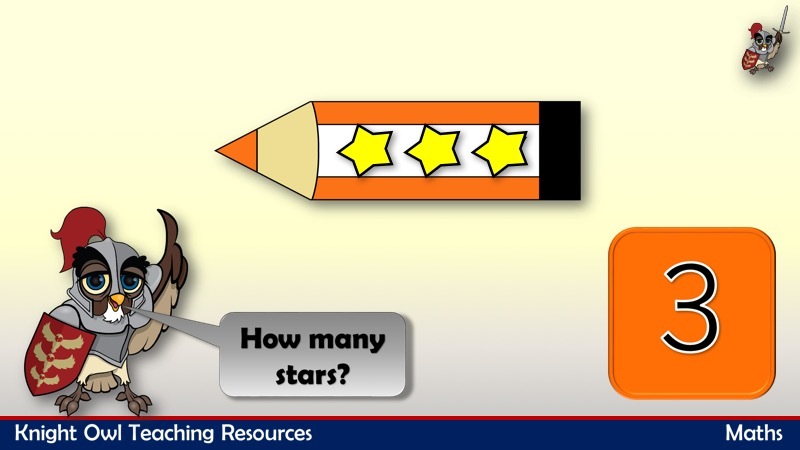 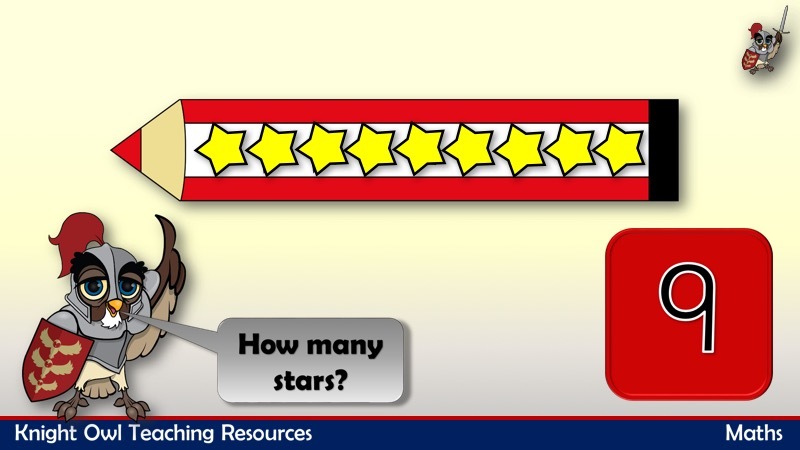 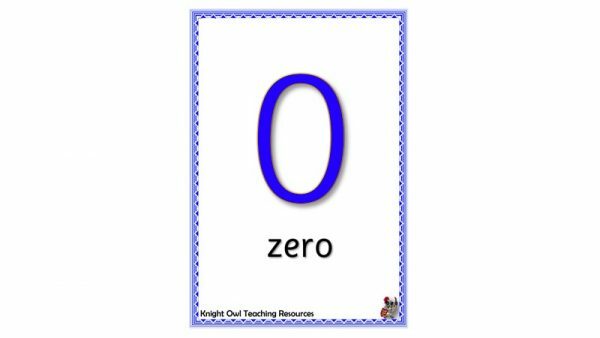 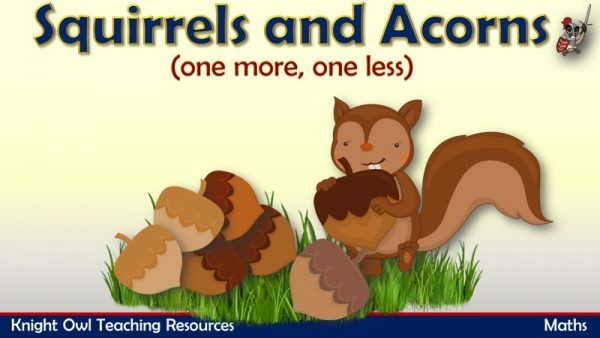 A PowerPoint to support EYFS -Number – counting objects to ten. 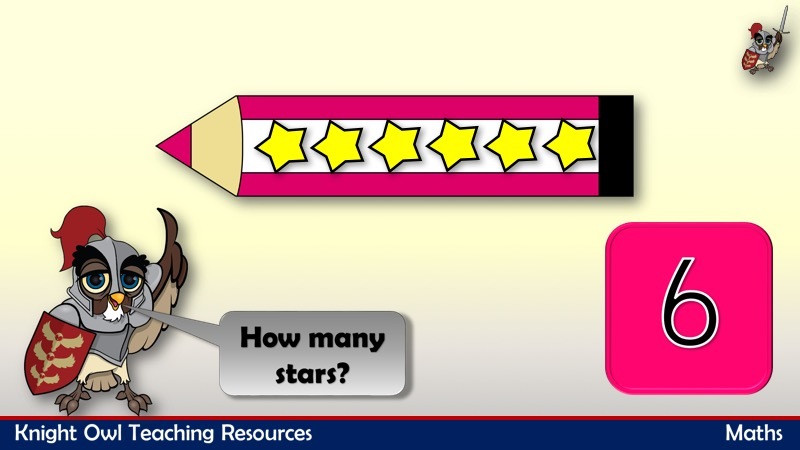 The pencils have stars on them and when Knight Owl asks, “How many?”, the children have to respond. 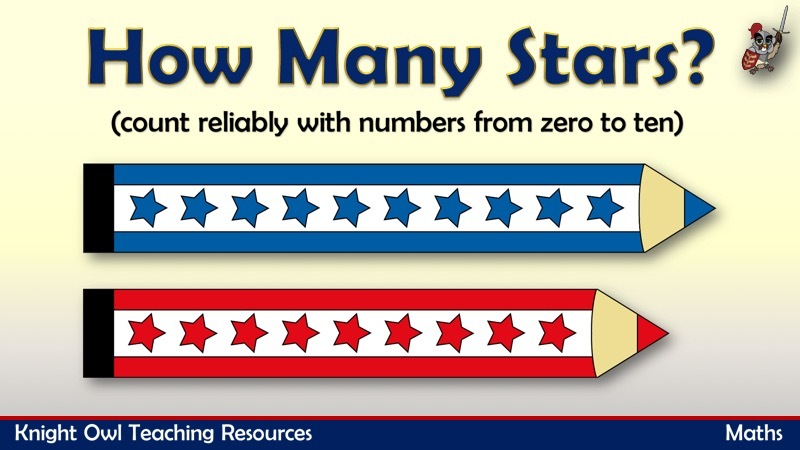 On the next click, they can count the yellow stars as they appear to check if they are correct before the number is finally revealed.